The new franchise "I Am Setsuna" developed by Square Enix's new studio Tokyo RPG Factory will be making its way to the Nintendo Switch on launch day.
" 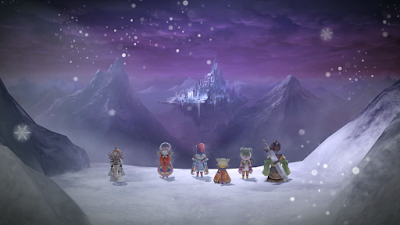 Nintendo Switch™ players will soon enjoy the unforgettable and heartfelt story of I AM SETSUNA™, the debut title from Tokyo RPG Factory™, SQUARE ENIX®’s newest studio. It will be available as a digital day one launch title, and will include exclusive new features such as the “Temporal Battle Arena,” where players can enjoy thrilling battles against other players’ parties.